Cederberg Private Cellar has done it again! Raise a glass to our winemaking team who received numerous awards at the 2016 Michelangelo International Wine & Spirits Awards. Tammy Nel, winemaker at Cederberg Private Cellar, recently talked to wine.co.za about our Cederberg Merlot Shiraz 2014 vintage. An engaging blend of 70% merlot and 30% shiraz, makes for a smooth, fruity filled lingering taste on the palate. The shiraz bestows a fulness of body to a taste rich in spice. It’s an easy-going, everyday wine that will suit any occasion. 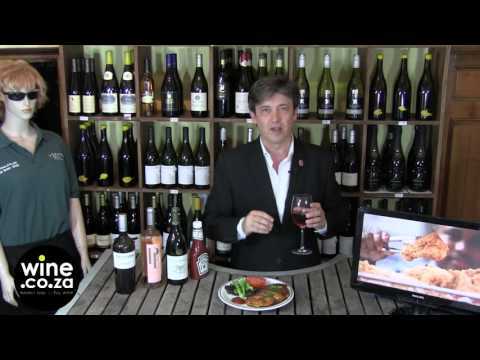 Click here to watch the video on wine.co.za. Taste rare, individually crafted wines with creative flair and great diversity at the Nedbank Cape Winemakers Guild Auction Showcase to be held in Cape Town on Thursday, 18 August and Johannesburg on Wednesday, 24 August 2016. This public tasting gives wine enthusiasts the opportunity to taste these unique collectors’ wines crafted exclusively in small volumes for the 2016 Nedbank Cape Winemakers Guild Auction by the Guild’s 47 members. In addition to tasting this year’s CWG auction line-up that will go under the hammer in Stellenbosch on Saturday, 1 October, the Showcase is a great interactive platform to engage with the winemakers. In addition to the sought after 2016 auction wines, the members of the Guild will also be presenting some of their acclaimed flagship offerings sold under their own labels. Individuality, creativity and expression of place set the CWG auction wines apart from the winemakers’ more readily available ranges. Showcase-goers will have the opportunity of contributing towards the Nedbank Cape Winemakers Guild Development Trust by bidding on rare signed bottles from previous Guild auctions during the Silent Auction. Founded in 1999, the Development Trust seeks to transform the wine industry by educating, training and empowering young talent through initiatives such as the Protégé Programme, a highly acclaimed mentorship scheme for upcoming winemakers and viticulturists. The Nedbank Cape Winemakers Guild Auction will take place on Saturday, 1 October 2016 from 09h00 at Spier Conference Centre in the Stellenbosch Winelands. The auction is open to the public. To find out more and to purchase tickets for the VIP lounge on Auction Day, visit: www.capewinemakersguild.com, email info@capewinemakersguild.com or call Tel: +27 (0)21 852 0408. Click HERE for a video documenting the launch. Join Alex and Tammy for a tasting in Graaff-Reinet! Cederberg gets featured on Extreme Pairing with Jean Vincent Ridon! Join wine.co.za’s Jean Vincent Ridon on Extreme Pairing as he tries new combinations with various wines, including Cederberg. The 2016 harvest at Cederberg Private Cellar was completed two weeks earlier than usual. The grapes ripened a lot quicker owing to the dry, warm weather we experienced in December and January, making the 2016 harvest the earliest one on record for Cederberg. Fortunately we have the advantage of enough water for supplementary irrigation, which is so important in a dry year like 2016. The dry season meant smaller berries and smaller bunches, which weighed less and yielded fewer litres per tonne. To us this was a positive, bringing concentrated flavour to both whites and reds. In general it was a challenging year for whites, but we were prepared: the optimum picking time was crucial this year. The white berries came in with lower acidity but beautiful ripeness. The latter makes for more mouthfeel and body than in previous years. In the cellar we now have a diverse selection of aromatic components for creating beautiful white wines. It will be exciting to see the development of each tank as it matures on its fine lees. The reds are showing beautiful concentration and really good colour. It was not necessary to extract too much with pump-overs and punch-downs. Although it is still very early to tell, since reds develop and change quite a bit, we are expecting big, bold 2016 reds. As a result of climate change, the 2016 harvest season started a week earlier than in 2015 – with the 2015 harvest a week earlier than 2014. Picking finished two weeks earlier than in a normal Cederberg year. We expect this pattern to continue in the years to come. New tanks were brought in at the start of the harvest, in line with our new enlarged cellar that can handle an extra 120 tonnes. Here’s to a great year and a cellar team who worked as if nightfall never came! On Saturday 19 March 2016 at 20:30, the people of Dwarsrivier farm will light 67 candles in our resort, Sanddrif, in celebration of Earth Hour. Our wish is that all the visitors to Sanddrif join us by switching off ALL lights in the campsite and cottages and keep them off until 21:30. In celebration of this event, we at Cederberg Private Cellar, decided to take our recycle project one step further and commit to ‘Zero-Waste-to-Landfill’! This means the recycling of all our generated waste, with the rest being re-used and composted. Visit http://earthhour.org.za/ for more information. In line with Cederberg Private Cellar’s decision to give more prominence to its ‘green’ and ethical trade activities, we are pleased to welcome Martin Albertus on board. Initially Martin will focus on environmental reporting, audits and projects at Cederberg. “It’s about adding value, always,” says Martin, who describes himself as an entrepreneur and a philanthropist. He is the owner and managing director of Sustainable Ways (Pty) Ltd, an SA-based company that focuses on environmental management, conservation and ethical trade support to wine producers and fruit growers. He also offers the unique and exciting VolunTOURISM experiences in the winelands to local corporates and international visitors. Martin is no stranger to the Cederberg. His involvement with the farm dates back to 2011, when he managed the operational portfolio for the globally recognised World Wide Fund for Nature (WWF-SA) ‘Biodiversity and Wine Initiative’ (BWI). The focal points of BWI – which has now been rebranded as ‘Conservation Champions’ – are to expand protected areas and biodiversity stewardship on privately owned land in the Cape Winelands, while reducing the impact of agriculture on the natural environment. Since 2012 Martin has played a leading role in the Sustainable Fruit Initiative (SIZA) and helped to develop environmental standards that could be integrated in the FruitSA SIZA code. Cederberg Private Cellar will benefit greatly from his wealth of experience in conservation and especially in the ethical trade arena. You can contact Martin at Sustainable Ways by emailing martin@sustainableways.co.za or follow his tweets as Sustainable Ways via @SWSAtweets. As many of our loyal supporters may know, we have been doing a lot of work ‘in the veld’, and in the coming months we will be telling you more about this. The casual visitor or incidental wine taster may, for example, not know that Cederberg Private Cellar is situated in one of the largest conservation areas in the country; that the farm spans the Fynbos and the Succulent Karoo biomes, both World Heritage Sites; that the Cederberg is home to rare, endangered and endemic plant and animal species; and that we are actively involved in the Cederberg Conservancy, WWF-SA’s ‘Conservation Champions’ initiative and the Greater Cederberg Biodiversity Corridor (GCBC). It’s white, it’s wild and it’s fermented naturally in a barrel for a whole nine months.It’s the Ghost Corner Sauvignon Blanc Wild Ferment 2015 and it’s available now. The maiden vintage was produced in 2011 by Cederberg’s David Nieuwoudt and his team. Definitely not to be confused with the other “wild ferments” that have suddenly hit the local market, Tsk! Tsk! Tsk!